Neurology is the medical specialty dealing with disorders of the nervous system, which includes the brain, spinal cord and peripheral nerves (nerves outside of the brain and spinal cord). We provide a specialist service for people with neurological conditions, including diagnosis, treatment and support. The neurology team sees patients who have been admitted through our Accident & Emergency department with neurological conditions (or suspected conditions) and those who have been referred to us by their GP. 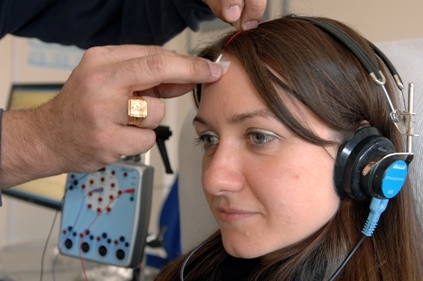 We offer a range of tests to diagnose neurological conditions including MRI scans, CT scans and neurophysiological tests such as brain wave studies (available 24 hours a day), tests on the nerves and muscles and tests of nerve responses. We also have 24 hour access to the neuroscience facilities at the Queen Elizabeth Hospital for emergency diagnosis and can refer patients there for neurosurgery. We offer a comprehensive specialist service for people with epilepsy, multiple sclerosis, movement disorders, parkinson’s disease, visual problems related to neurological conditions, chronic headaches, tremor, brain injury and stroke, which includes diagnosis, treatment, support and rehabilitation where appropriate. Our team deliver high quality care and seek to give all of our patients the best possible treatment. If you have any questions or concerns about your condition or treatment please contact your consultant’s secretary by calling the hospital switchboard and asking for them (Monday – Friday, 9am – 5pm).